Mainly used to crush objects above coal sieves. 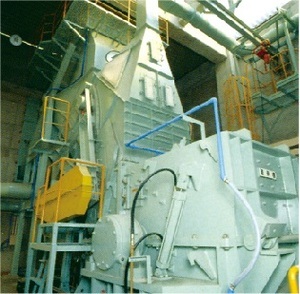 The ring hammer forcedly discharges wet crushed product using the extrusion force generated by the hammer’s rotation during crushing. 1) Capacity and required electric power very according to material,feed and crushing size. 2) The standard rotor speed is 40～60m/s.